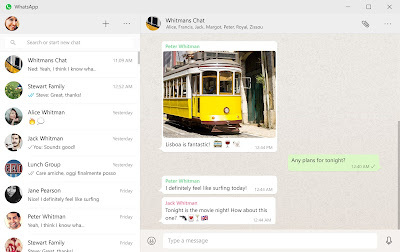 Today WhatsApp introducing a desktop app so you have a new way to stay in touch anytime and anywhere - whether on your phone or computer at home or work. Like WhatsApp Web, our desktop app is simply an extension of your phone: the app mirrors conversations and messages from your mobile device. To download the app, visit from your desktop browser. Then, open the app and scan the QR code using the WhatsApp app on your phone (look for WhatsApp Web menu under Settings).